The Fellowship was fortunate enough to obtain a copy of THE FUN FAMILY from Top Shelf Productions and IDW Publishing. The story and art is by Benjamin Frisch. At first glance this looks like a parody of Bill Keane’s THE FAMILY CIRCUS and it is, but there’s more here than that. It certainly wasn’t what I was expecting, not that it’s a bad thing. One would assume that Frisch is commenting on how people turn to religion or therapy during a crisis. Mom and Dad Fun become more childish while the children are left to fend for themselves. While this book is not one for everybody, it was a real interesting read. 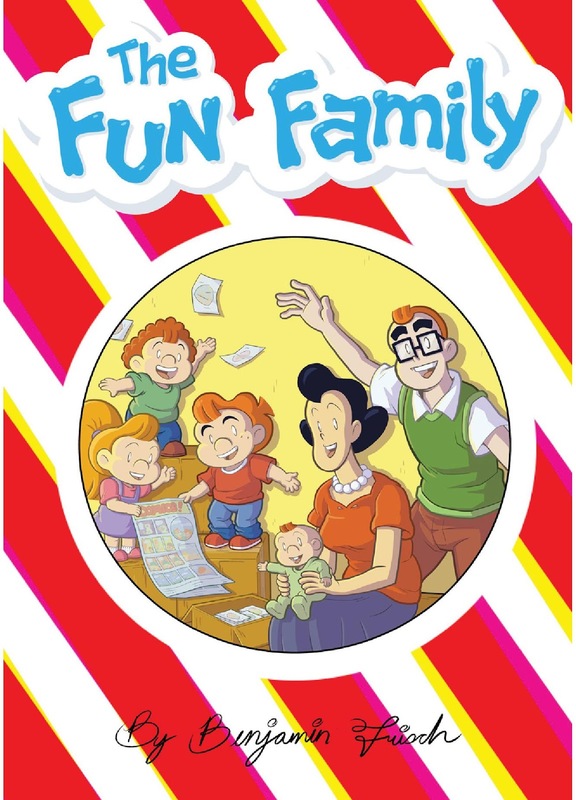 THE FUN FAMILY is in stores now, or available for ordering at www.topshelfcomix.com or www.IDWPublishing.com.